Provide immediate and long-term funding and awareness for mental health counseling for the Marjory Stoneman Douglas shooting survivors, their families and the community-at-large. Some tragedies never end. Neither should our support. Our town, Parkland, Florida, has been rocked by a tragedy on February 14, 2018. Long after the media coverage fades, the wounds will remain. Recovering from such a tragedy doesn’t happen in mere days. It can take months and even years. Why Parkland Cares is Necessary: Parkland Cares is designed to provide a centralized resource to help cope with tragedy. Parkland Cares is an easy way for people who need help to get connected with the community service providers that can help with crisis counseling, intervention services, short and long term therapy, trauma counseling and more by calling 954-740-MSD1 (6731). 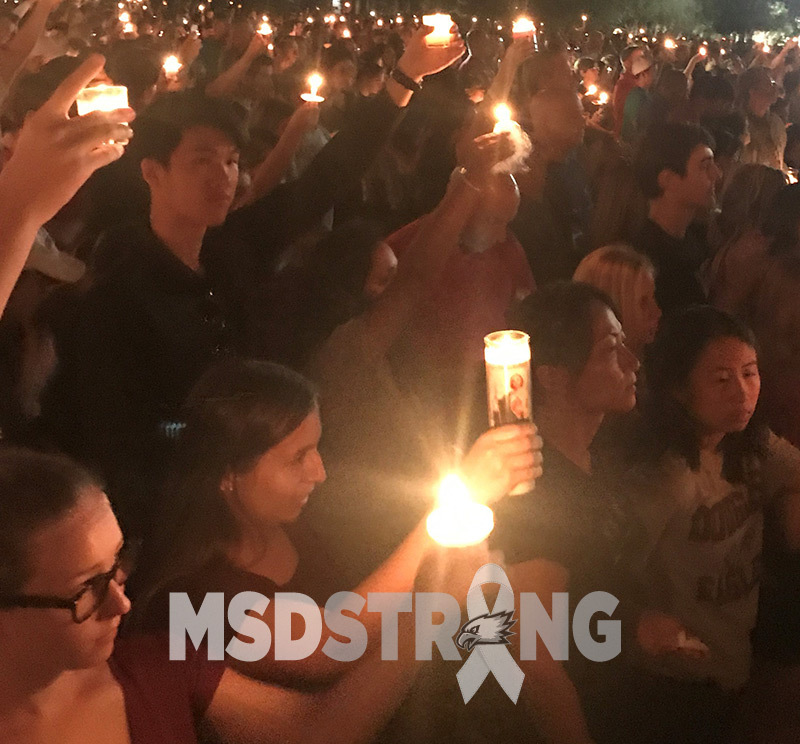 Our Need: Trauma care and long term mental health services extend from the children and teachers at Marjory Stoneman Douglas High School (MSD) to the parents and the community-at-large. Knowing where to go is the first step to getting help. Every hour of every day, someone in Broward County is searching for assistance and Parkland Cares provides an easy way for people to connect with service providers. This is why your gift is so important: Donations raised will provide immediate and long-term funding and awareness for mental health counseling for the Marjory Stoneman Douglas shooting survivors, their families and the community-at-large. Thank you for making a difference, we appreciate you! PARKLAND CARES, INC IS A 501 (C)(3) TAX-EXEMPT ORGANIZATION WITH TAX ID 82-5296399. PARKLAND CARES, INC. IS REGISTERED WITH THE FLORIDA DEPARTMENT OF AGRICULTURE AND CONSUMER SERVICES TO SOLICIT CONTRIBUTIONS (REGISTRATION NO. CH55671). A COPY OF THE OFFICIAL REGISTRATION AND FINANCIAL INFORMATION MAY BE OBTAINED FROM THE DIVISION OF CONSUMER SERVICES BY CALLING TOLL-FREE (800-435-7352) WITHIN THE STATE. REGISTRATION DOES NOT IMPLY ENDORSEMENT, APPROVAL, OR RECOMMENDATION BY THE STATE. Parkland Cares is grateful to the following Founding Members for their support of $2,500.